Mrs. Chappell's 2nd Grade Blog: Think Win-Win! 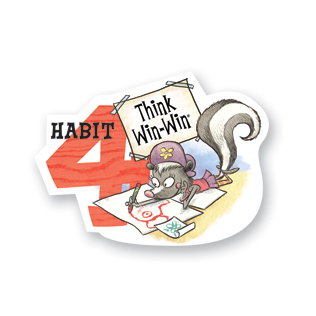 This week, we are going to refocus on Habit 4 from the 7 Habits for Kids. I want each of you to make it a goal to work hard on your reading log. Each of you have a charge to read 2 AR books each night at home. I really want you to focus on accomplishing this goal. It will help you in several ways. It will strengthen your reading ability. It will increase your comprehension ability. It will boost your AR points. It will increase our class accuracy rate. It really is a "win-win". It helps you, it helps ME, it helps your class. everyone should use this it's a fun and easy way to learn!! Mrs.Chappell you've got a lot of comments. wow!this is some good advice mrs.chappell. mrs chappell think you for putting this on here it help a lot of pepole! love jazmine!